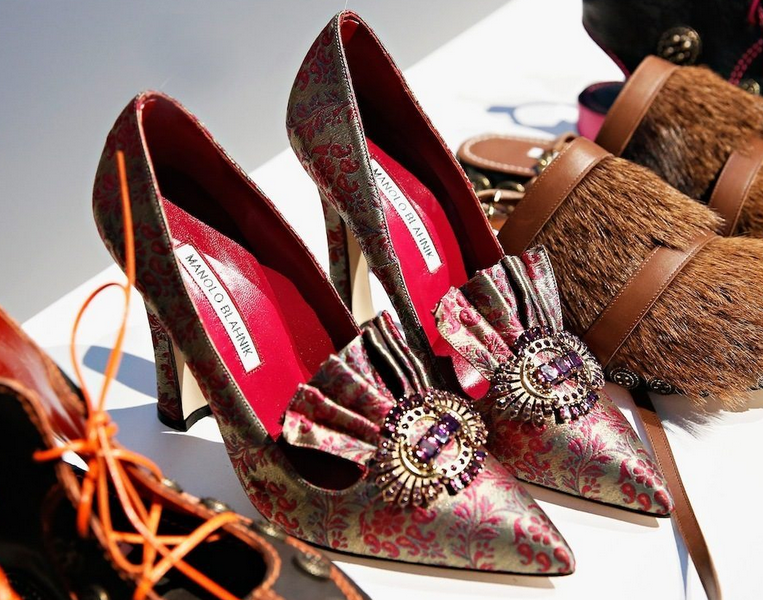 Manolo Blahnik unveiled a very ladylike fall 2014 collection at the Paul Kasmin Gallery in New York Sunday. Pumps, ankle boots and slippers crafted from silk, satin and suede stood side by side on stark white platforms or hung suspended by clear wires. 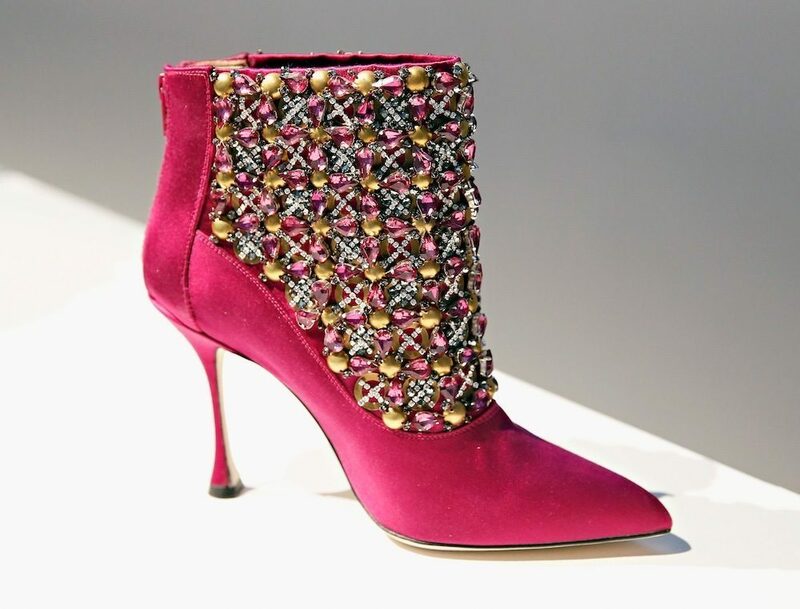 Stunners included a bright fuschia ankle boot artfully bejeweled with matching crystals in an artful pattern and a pump with festive tassled pom poms and spats. Meanwhile, these 19th century-inspired pumps in a vintage print married a classic shoe style with the past. 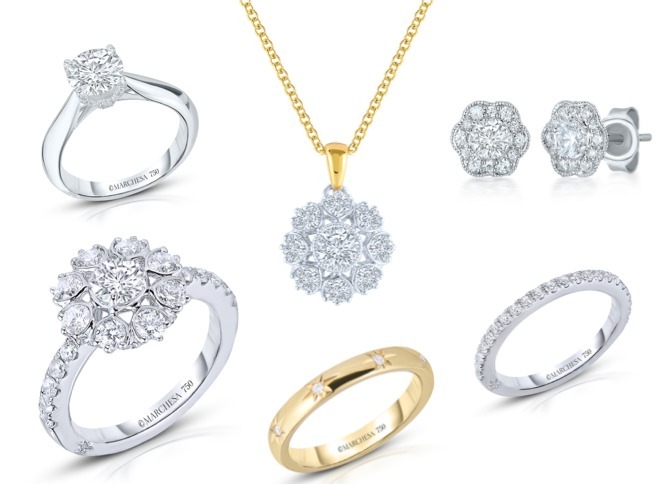 Another classic shape with a bold bow as an unabashed feminine detail. These would be perfect pumps for the office or dinner party. 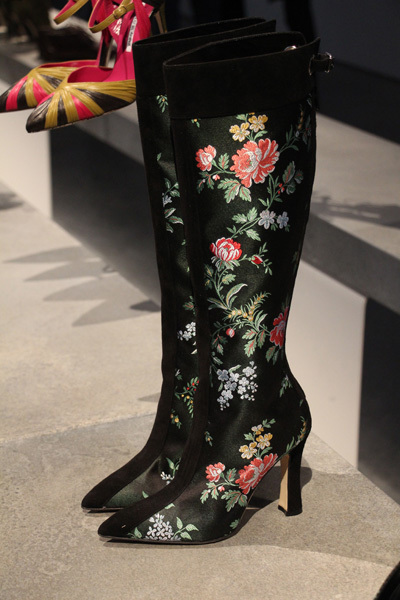 A typical black boots gets dressed up with this gorgeous floral motif. Check out all of the photos from Manolo Blahnik Fall 2014 collection at Fashionista.